The Tsitsikamma National Park is a protected area on the Garden Route, Western Cape and Eastern Cape, South Africa. It is a coastal reserve well known for its indigenous forests, dramatic coastline, and the Otter Trail. On 6 March 2009 it was amalgamated with the Wilderness National Park and various other areas of land to form the Garden Route National Park. The park covers an 80 kilometres (50 miles) long stretch of coastline. Nature’s Valley is at the western end of the park, and the main accommodation is at Storms River Mouth. Near the park is the Bloukrans Bridge, the world’s highest bungee jump at 216 metres (709 ft). The word “Tsitsikamma” hails from the Khoekhoe language tse-tsesa, meaning “clear”, and gami, meaning “water”, probably referring to the clear water of the Tsitsikamma River. Other meanings are ‘place of much water’ and ‘waters begin’. Various amenities, including a restaurant, shop, chalets, camp site and caravan park, information centre, adventure bookings office, the Agulhas lookout platform, trees marked with their national tree list numbers and underwater trails. This camp is situated in De Vasselot on the banks of the Groot River, about 30 km from Plettenberg Bay and about 40 km from Storms River Rest Camp. 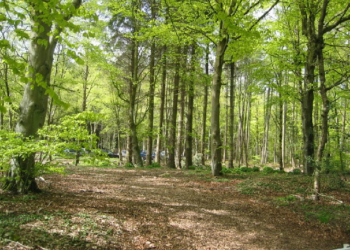 It is an ideal region for bird watchers and has a variety of trails for hikers. The Otter Trail starts at the Storms River camp and the South African National Parks has laid out several short trails for day visitors. Set in the Garden Route, the trails lead through coastal and forest scenes, as well as various waterfalls, streams and rivers. The Suspension Bridge and Lookout Trail is an easy stroll that leads along the western side of the river mouth, past the Strandloper Cave to the suspension bridge across the mouth. On the other side of the bridge there is a short but very steep climb to a lookout point from which there are fine views of the mouth and the camp. The Waterfall Trail is an short but demanding hike which follows the first 2.65 kilometres (1.65 miles) of the Otter Trail; hikers may not walk beyond the waterfall unless hiking the Otter Trail. The Blue Duiker Trail starts just west of the information centre and leads through scrub forest tip to the Agulhas lookout from where whales and dolphins can often be spotted in winter. After crossing a short section of fynbos, the trail takes hikers into the dry forest with some fine Sickle-leaved Yellowwoods evident.The Blue Duiker Trail continues through the forest, crossing a stream below a delightful waterfall. Several more streams and a cavernous tree bole mark the route. After crossing the road to the camp, the path drops to the coast just west of the start of the Waterfall/Otter trails and returns past the camp site and chalets. Birdlife unique to the forest is found west of the road, which makes this trail a favorite with birdwatchers. The Loerie Trail is a short-cut to the Blue Duiker Trail, marked with the yellow sign. This trail passes next to a waterfall and has gorgeous views over the marine reserve. During the whale period, and if the sea is calm, whales can often be seen from the top of the cliffs. 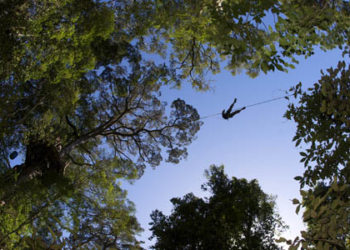 The Tsitsikamma Canopy Tours take place in the magnificent Tsitsikamma indigenous rainforest. Many of the platforms are built around giant Outeniqua Yellowwood trees that are up to 700 years old. Rugbos Picnic Site – On the edge of the indigenous forest, this picnic site offers views of the Tsitsikamma Mountains, a short forest walk and toilet facilities. It is situated on the eastern side of the closed Bloukrans Pass, accessed from the N2 via the Coldstream turn off (R102). Mountain Biking in Tsitsikamma – Mountain bikes can be hired in the village and wonderful routes can be experienced through the indigenous forest. Woodcutter´s Journey – Journey down the old Storms River Pass and experience the tranquility of the indigenous Tsitsikamma Forest. Tsitsikamma Falls Adventures – The Waterfall Zipline Tour offers two hours of adventure as you criss-cross the river on a slide system, with the longest slide being 211m. Bloukrans Bungy – the world´s highest bungy jump. This unique pendulum bungy system gives you the highest, smoothest and best bungy jump in the world by far. Bridge Walking on the largest bridge in Africa. 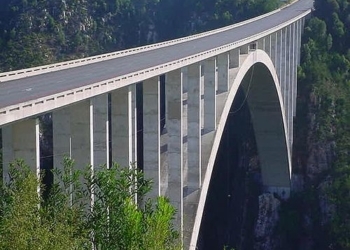 The Bloukrans Bridge is an amazing feat of engineering, and the Bridge Walking Tour allows you to walk on the catwalk below the road, onto the middle arch of the bridge. Friendly, knowledgeable guides will be with you whilst you see this bridge up close and personal. Tsitsikamma Segway Tours – Enjoy a guided tour through Storms River Village and to the Big Tree on a Segway Personal Transporter. This unusual but exhilarating form of transport provides a unique experience in the Tsitsikamma. Training included.